There is a lot of hoopla and hype in the marketing of fishing tackle, just like in most things. It can be hard to separate the substance from the sizzle. I have tried to do that to the best of our ability on this site by highlighting some things that have worked well for me. 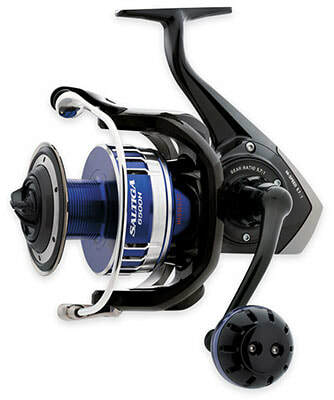 Below are recommendations for the best high end, midrange, and budget range spinning reels that I know of. These are my unbiased opinions as I am not compensated by any of these tackle companies. I don't care what brand you buy. I have personally used every item listed below, and most of the fish shown on this website (at least in my photos) were caught on tackle described on this site. It comes in a couple fewer sizes but still enough to cover your bases for freshwater fish. The 500 size makes an excellent choice for panfish such as Crappie and Bluegill, while the 2500 size is good for Largemouth Bass, Smallmouth Bass, Pike, and other midsize freshwater gamefish. I would probably go with a baitcasting reel for anything big enough to use the 4000 size for, but that is just me. It is very expensive, but if you want the best this is it.